You are searching for an original useful present? 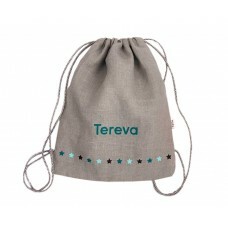 Here is the personalised backbag, perfect to put all the necessary things for a night over at friends house or simply to carry favorite objects and toys everywhere! 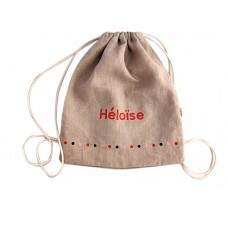 100% made and painted by hand Dimensions: L 31cm x H 36cm100% linen outside fabric and 100% cotton l..